High rise building, traffic lights and parking meters are big city items that are foreign to Noosa. Over the years Noosa has resisted the temptation to be converted into an overpopulated, over developed tourist destination and hence it is one of the last bastions of natural beauty, with clear skies, traffic unclogged and an unpolluted river. This makes it the perfect place to spend some quality time with the family or your loved one. Even the world renown New York Times devoted two pages of its travel supplement to Noosa and described it as "a place that appreciates nature and the good life". You too can sample some of that 'good life' with an array of family sized apartment accommodation in Noosa available and a wide variety of recreational activities located nearby as well. Of Noosa's 875 square kilometres, almost 35 per cent of it is comprised of National Parks, Conservation Parks, State Forests, Vacant Crown Land, lakes and streams. Combine this with the pristine beaches that Noosa has to offer and you really will feel like you are a one with nature. If Maroochydore is the home of the big shopping centre then Mooloolaba is the hub for boutique shops. Designer clothing, bargain fashion, intricate antiques and useful homewares can all be admired and/or acquired in Mooloolaba. The only obstacle to Mooloolaba's boutiques is the variety of fine cafes and eateries along the Esplanade which will happily slow your progress. While bikinis, thongs and beer are as acceptable in Mooloolaba as they always have always been there is now a trend towards designer dresses, stilettos and cocktails in the evenings to take advantage of the many fine dining establishments and hip nightspots in Mooloolaba. 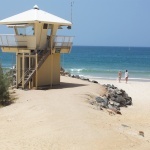 Mooloolaba continues to boast one of the Sunshine Coast’s best family beaches. Tourists can simply lie on the beach with a good book or for the more adventurous try either surfing or kite surfing. From the relaxing to the thrilling, the beach activities available in Mooloolaba will cater to all types of families. Coolum is a holiday destination that knows how to have a party. 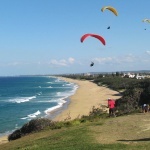 This beachside Sunshine Coast town attracts tens of thousands of visitors each year with it's array of special events including the Australian PGA Golf Championship and the Coolum Kite Festival. There is a range of apartment accommodation in Coolum available from the luxury 5 star resorts through to discount family apartments for the budget conscious. When staying at Coolum you can take advantage of the nearby places of interest which include Noosa Heads, Steve Irwin's Australia Zoo and Underwater World. Coolum is located on a marvellous section of beach front and is also only a short 10 minute drive from the Sunshine Coast Airport. Caloundra is strategically situated only an hour’s drive north of Brisbane and is the gateway to the beautiful Sunshine Coast. With its enviable location on the Queensland South East coastline, Caloundra offers the best of both worlds when it comes to holiday accommodation. With a relaxed lifestyle that complements the natural environment which includes some of the most beautiful beaches in Australia and also the picturesque hinterland only a short drive away. Holiday makers and overseas tourists are attracted to the geographically diverse nature of the Sunshine Coast and Caloundra in particular. Caloundra lays claim to 10 of Queensland’s most popular patrolled beaches as well as beautiful rainforests and numerous botanical, environmental and national parks. 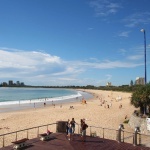 Caloundra also boasts attractions including Australia Zoo, Aussie World and the Ettamogah Pub. The number of people choosing this as their beach holiday destination is continually growing and with a range of 5 star and budget family apartments and hotels in Caloundra there really is something for everyone. 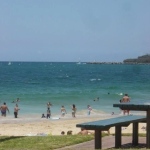 Alexandra Headland is located right next door to Mooloolaba and is the essence of beach culture with it's close proximity to a vast stretch of fabulous white sandy surf beach. The Alexandra Headland has a wide variety of accommodation options available for you next holiday including large family apartments and discount hotel rooms. Alexandra Headland is surrounded by untarnished natural beauty and there is nowhere better to see this than from the BBQ areas on top of the Alexandra Bluff. Families can feel safe as the beach is patrolled by the Alexandra Headland Surf Club, which also provides an exceptional venue for relaxing, socializing and even enjoying a sumptuous meal of fresh seafood. 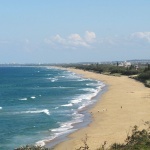 Maroochydore claims the title of the Natural Capital of the Sunshine Coast. Over recent years Maroochydore has evolved into an emerging and vibrant city with a range of wonderful holiday facilities available including fine dining restaurants, relaxed street side cafes and discount shopping. 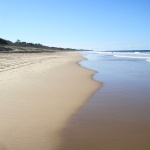 Maroochydore contains a very popular patrolled surf beach and the Maroochy River's southern bank forms a virtually unbroken stretch of parkland and picnic spots in the area. 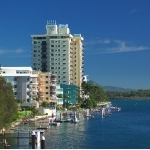 Maroochydore is a major commercial area of the Sunshine Coast with most shopping precincts located in the central business district. It is home to the Sunshine Plaza shopping centre, the Sunshine Coast Airport and the Sunshine Coast's major bus interchange for TransLink services on the Sunshine Coast. Maroochydore is also a venue of major surf sport carnivals and provides a popular holiday accommodation destination from which to travel to the rest of the Sunshine Coast and South East Queensland. As a holiday destination Marcoola goes above and beyond your average holiday expectations. Ideally located between Maroochydore and Coolum, Marcoola is positioned on a lovely stretch of sandy beach front that provides the scene for many normal beach holiday activities including surfing, swimming, fishing, sunbaking and of course beach cricket. You can get a birds eye view of Marcoola from the top of Mount Coolum. Located nearby to Marcoola is the ex-HMAS Brisbane, which is a purpose-designed dive wreck that allows you to dive inside the engine and boiler rooms to see what the underwater world of the sea looks like with its vast array of fish and plant life. Families and couples will enjoy Marcoola's safe and family friendly beaches. They can also lay back and relax whilst receiving an variety of health treatments and/or massage. Kawana is ideally positioned close to the beach and one of the largest shopping centres on the Sunshine Coast. Kawana is just a little north of Caloundra's city centre and has long stretches of open beach, canals and waterfront dining. Kawana provides excellent relaxed accommodation with great walking & cycling tracks which the whole family can explore. Kawana Waters is the perfect holiday destination for couples and familyies that want a relaxed, peaceful atmosphere mixed with a vibrant holiday lifestyle, especially if you're an outdoors person. 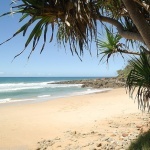 Beautiful Sunshine Coast beaches are right on your doorstep which gives you plenty of opportunities to enjoy sun, surf and all sorts of sporting facilities including nearby golf courses, tennis courts and playing fields. There is also Steve Erwin's world famous Australia Zoo at nearby Beerwah and Kawana's close proximity to Mooloolaba, Noosa and the Sunshine Coast Hinterland enables you to take advantage of the various attractions in all these neighbouring areas too. The beautiful township of Buderim located 90kms north of Brisbane and is ideally perched high on the fertile soil of Buderim Mountain, overlooking the Sunshine Coast's marvellous beaches and the Pacific Ocean. Buderim might be small but it is full of vibrant colour, charm and friendly locals. The Buderim area has been known in the past for its timber, sugar, citrus, coffee and bananas production, however, now it is synonymous with ginger. When you stay in Buderim you will be able to taste the fresh local produce at the local markets or the many fine dining establishments. The hinterland in which Buderim is located is interspersed with a many parks and reserves which are full of diverse and unique flora and fauna. 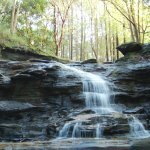 These parklands includes the Mooloolah River National Park, the Buderim Forest Park with its picturesque waterfalls and the Foote Sanctuary. 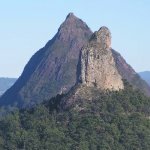 The Glass House Mountains in the Sunshine Coast Hinterland are a string of majestic and awe-inspiring volcanic plugs rising dramatically from the coastal plain. They were named by Captain James Cook in 1770 as he was sailing past because they looked like glass making furnaces. You cannot visit the Sunshine Coast Hinterland without visiting the thrilling live crocodile feeding sessions at the Australia Zoo, which is a wildlife attraction, made famous by Steve Irwin's wildlife documentary series The Crocodile Hunter. Some of the other adventure attractions around the Sunshine Coast Hinterland and Glass House Mountains include abseiling, rock climbing and hot air ballooning above the mountains. In the Sunshine Coast Hinterland your family holiday can involve a scenic drive stopping to buy fresh produce from the farmer's gates and checking out the views from the many lookouts or an energetic bush walk through some of the most interesting areas in the country.